A highly palatable, muesli mix with added alfalfa. 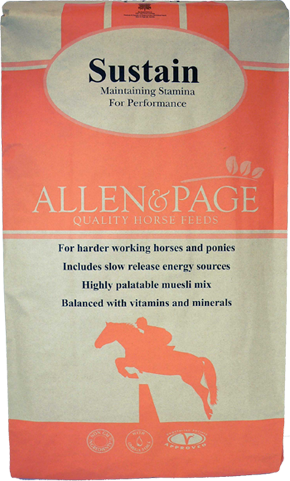 Sustain is ideal for helping stamina in endurance horses, eventers, dressage horses, driving horses, and show ponies. 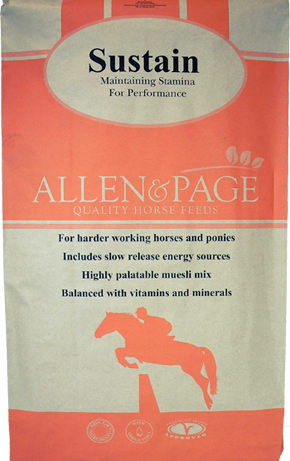 Useful for the sort of horse that, even when fit, has energy initially before going flat during work. Contains a unique pre and probiotic blend for Gut Loving Care.